Ruari McLean: book label. 25 x 45cms. Stain on lower edge. Category: Bookplates. 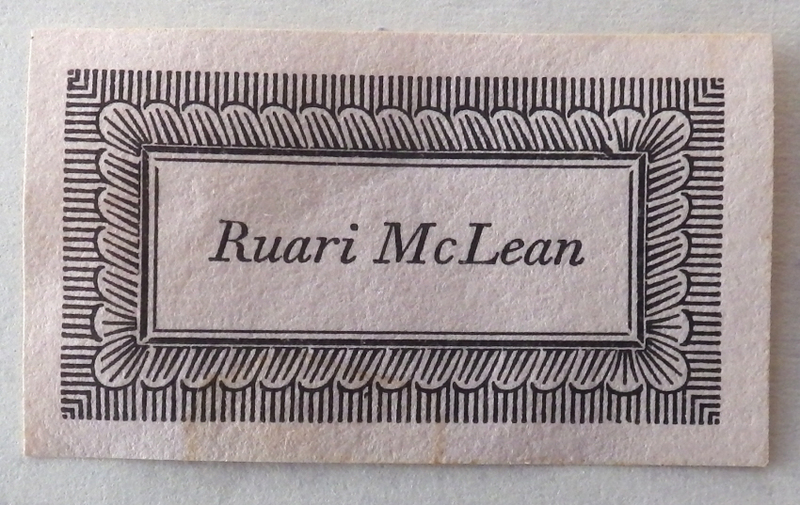 Tag: Ruari McLean book label.